African Mahogany Wood is a broad term that refers to various species of the Khaya genus, which are native to Africa. It has a beautiful light brown color with a hint of red. It’s quite popular due to its durability, as well as versatility in millwork design. African Mahogany Wood shows off a luminous surface when polished, which makes it favorite for homeowners and architects alike. African Mahogany Wood is commonly used for veneer, plywood, turned items, furniture, boatbuilding, and interior trim. African Mahogany Wood is available in a wide range of lumber sizes, as well as plywood and veneer. The price for African Mahogany Wood ranges from low to moderate for an imported hardwood from Africa. African Mahogany Wood is easy to work with. It is especially easy to glue and finish. However, you should be beware that Tearout could potentially cause problems if the grain is interlocked and your tools are not sharp. 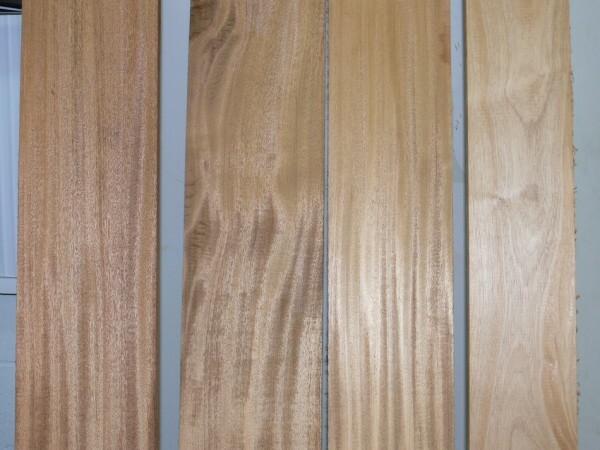 The different types of African Mahogany species, from the Khaya genus, can all be found in Africa, particularly in tropical regions of the continent and Madagascar. At Specialty Lumber Solutions, we can provide higher grades of African Mahogany Wood milled to your specifications and shipped directly to your job site. Please give us a call at Specialty Lumber Solutions for any inquiries.